It is designed for assemblies and mechanisms (chains, toothing, friction and frictionless bearings, joints, guides and spline connections) operating under high pressure conditions. It protects joints effected by hostile environment (dust, dirt and water) from wear. Resistant to high temperatures and loads. Possesses strong penetrating and adhesive properties as well as resistance to high-speed rotations. 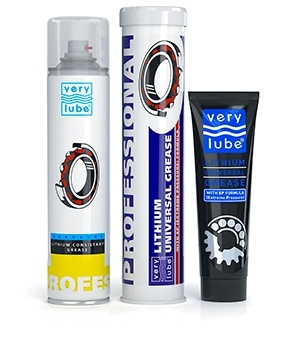 Provides lubricating, anti-corrosive and sealing effect. 2. Spray a thin layer onto the cleaned unit or mechanism.